If you are an architect or designer working on a commercial project or a restaurant owner wanting to create a “wow” factor to impress customers and help generate repeat business, we have exceptional advice and solutions to offer you. 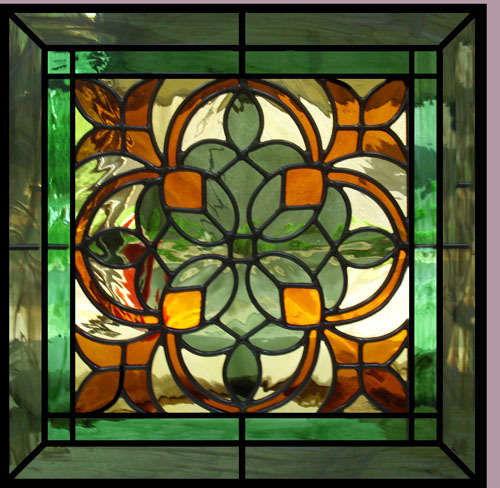 Scottish Stained Glass will be happy to work with any architects or builders in the process of building to incorporate stained glass into the initial style. 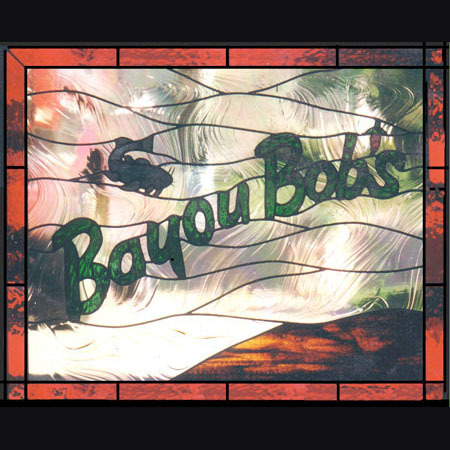 On the other hand, if you already own your bar or restaurant, our designers would love to work with you to add a new stained glass work of art into your business. 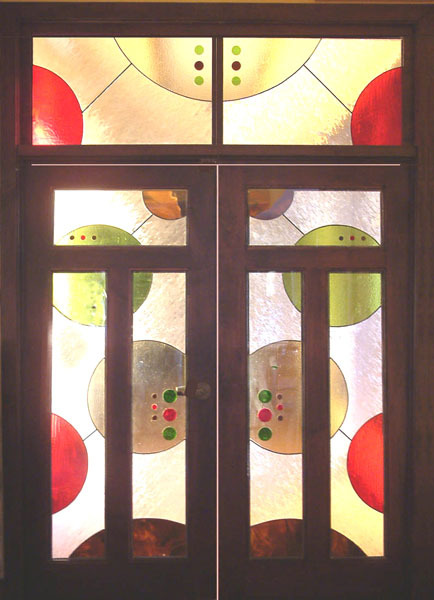 Stained glass in restaurants is not only a perfect and elegant way to customize and transform the decor; it also serves countless functional purposes. Without construction or destruction, stained glass can create conceptual divisions amongst rooms and seating areas, allowing guests to feel privacy without actual walls acting as barriers. 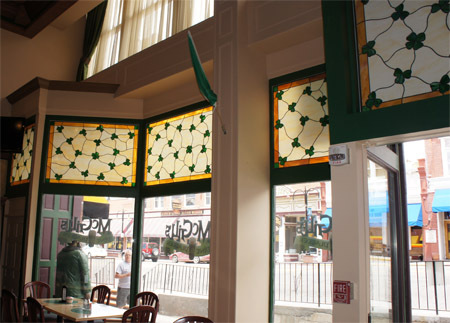 If your restaurant often has pedestrians passing by, adding stained glass to seating areas facing the sidewalks can give privacy to your customers in yet another way. Restaurants can use stained glass to create a variety of color and lighting effects. It can also be used as signage for branding or even to distinguish means of egress. 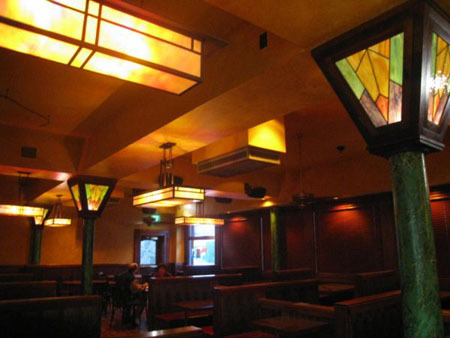 Stained glass windows are also an expert way of authenticating your Scottish or Irish pub. The use of Celtic design and knot work within your bar can help to create the atmosphere you desire. 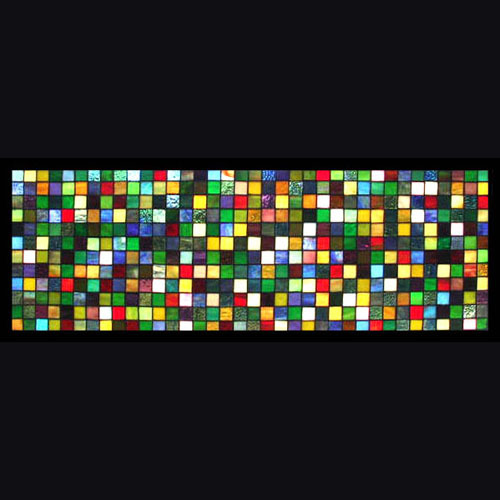 Since all of our pieces are custom made, we can also match existing color themes within your bar or pub. 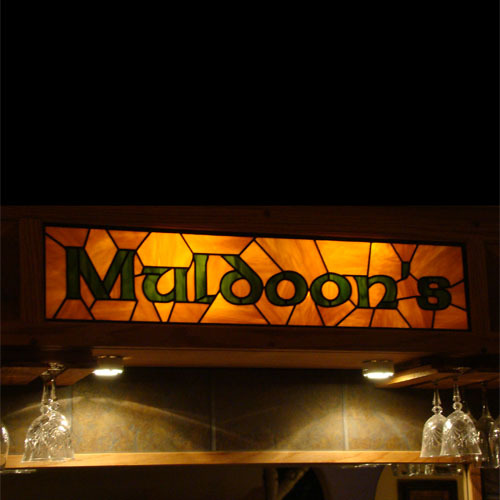 We can design custom colored glass signs to brighten your bar area as well, and we can even include the name of your bar on a glass panel. 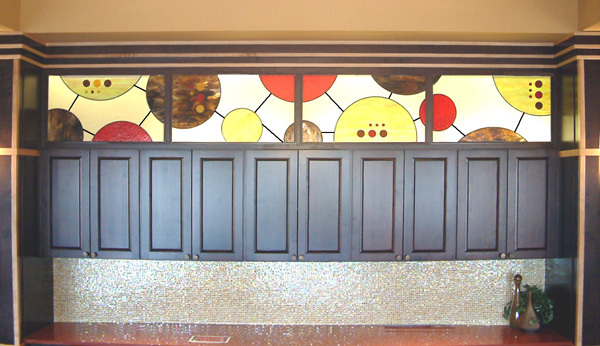 If your bar is in a basement location, instead of letting your customers look at dingy cement window wells when they visit, why not fill those windows with stained glass that will look fantastic, and compliment the current style of your bar? 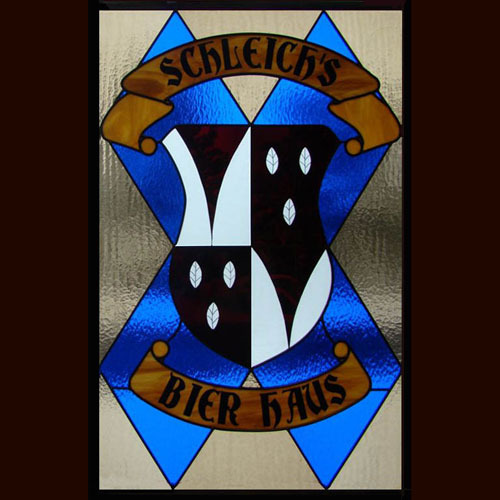 Whether you are looking to add an elaborate ceiling to your restaurant or bar to create an elegant, high-end style, or hoping for a beautiful family crest for your bar to give it that comfortable, hospitable feel, Scottish Stained Glass can create the right piece for you. We have built thousands of unique pieces across the country, and our design team will create the absolute best glass piece for your restaurant or bar. 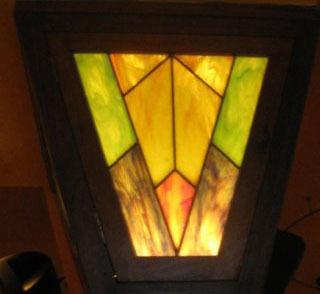 Take a look through our gallery to get a better idea of all the options we can offer your business, and browse through the many styles that we specialize in at our Stained Glass Designs page. Give us a call and take advantage of the free advice we can offer you for your restaurant, pub, or bar. We can’t wait to start working with you to add a unique glass piece to your business!